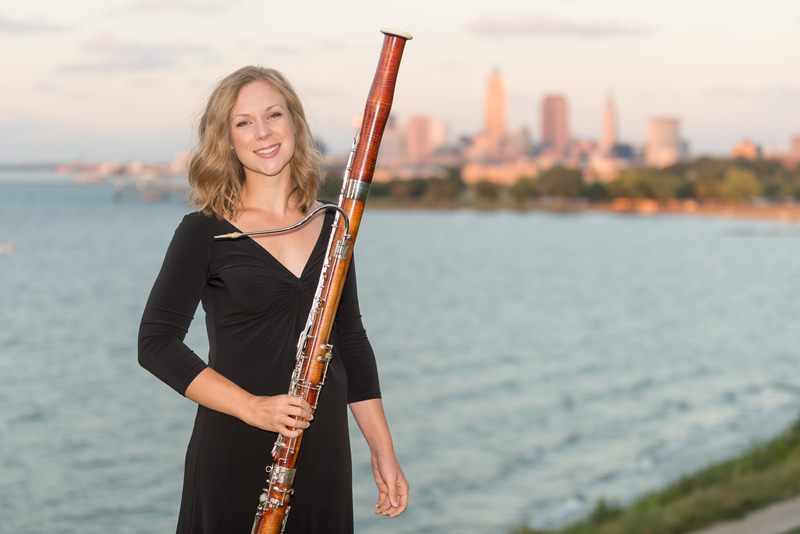 Arleigh Savage resides in Cleveland, OH is second bassoonist with the Youngstown Symphony, CityMusic Cleveland and Lancaster Summer Music Festival, and principal bassoon with the Cleveland Opera Theater. Recent engagements include performances with the Canton, Firelands, and Lansing Symphonies, the Cleveland Pops Orchestra, and the Erie Philharmonic. Additionally, Arleigh frequently collaborates with notable artistic institutions including the Cleveland International Piano Competition, Tuesday Musical Association, Rock and Roll Hall of Fame, Tri- C Community College, Chorale Arts Cleveland, and Sitka Fine Arts Camp as a performing artist and program creator. Ms. Savage grew up in East Lansing, MI and earned her Bachelor of Music at Michigan State University. In 2010 she moved to Cleveland, OH to study at the Cleveland Institute of Music under the tutelage of John Clouser, receiving a Master's degree in 2012. Upon graduation, she was the recipient of the George F. Goslee prize in bassoon. Arleigh played as a contracted member of the Ohio Light Opera in 2011 and attended the Colorado College Summer Music Festival in 2012 and 2013, where she was a winner of the concerto competition. In the summer of 2015 Arleigh was invited to study with notable bassoonist, Frank Morelli, at the Banff Centre in Alberta, Canada. A dedicated and passionate educator, Ms. Savage is the bassoon instructor at the College of Wooster and maintains a studio of private students. Arleigh regularly writes original educational material for the quintet. Most notably, she designed the theme, The Chameleon Project, for their 2015 Sitka, Alaska residency. TCP used original musical-stories and live performance to show audiences of all ages the distinct and evocative colors of the woodwind instruments.